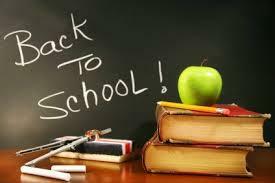 We are getting closer, believe it or not, to back to school time for Rutherford County and Murfreesboro City students. In fact, it's just a little more than two weeks away. The first day of classes for county students is Wednesday, August 6th. That will be a two-hour day. The first full day of school is Friday, August 8th. The city system will also have their first day of school on that Wednesday, the 6th, with the first full day on Thursday, August 7th. Incoming high school freshmen should report to their zoned high school on Tuesday, August 5th at 6:30pm for open house. The opening of Overall Creek Elementary in Murfreesboro City has forced the district to rezone for all schools. The rezoning reestablishes Reeve-Rogers as a traditional zoned K-6 campus, moves pre-k classrooms to school campuses and reestablishes Bellwood as a K-6 campus for Discovery School. For more information on that, check out cityschools.net.